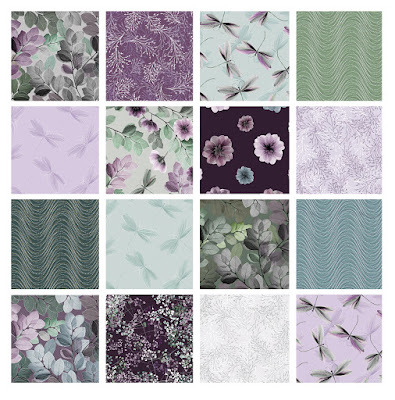 If you loved the pearlescent accents on Nature's Pearl, you'll be happy to know that this cool effect is also on the new Kanvas line, Essence of Pearl. The collection, which includes florals, leaves, dragonflies, delicate lilac and Queen Anne's Lace prints, comes in two colorways. 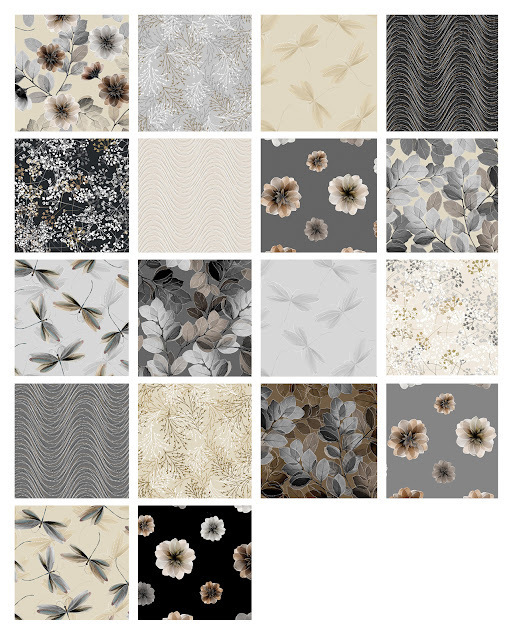 Use larger pieces of the gorgeous prints in this collection to create the Shimmer Stripes quilt (shown in both colorways). This pattern is available as a free download on our website. A quick and easy lap quilt! Click here to see the entire Essence of Pearl collection. 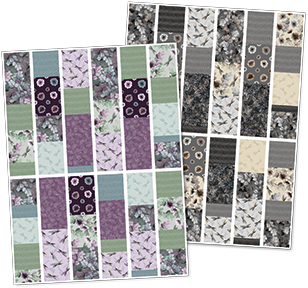 Click here to see additional quilts made using Essence of Pearl from our Quilt Market booth.